The rich keep getting richer in this weekday edition of the Italian SuperLega. Only one 5 set match between Wixo LPR Piacnenza and Gi Group Monza meant that the games were over before they even began. Teams at the top and bottom of the standings are locked into their playoff positions, and with no relegation this year, a lot of teams are just fighting for pride. Perugia is the most talented team in the league, with sole ownership of the #1 seed. This has given them the luxury of sitting some of their starters in recent games. Aaron Russell sat the entirety of their game against Top Volley Latina. Marko Podrascanin and Luciano De Cecco also got some well-deserved rest. While none of these players will likely sit against Modena this weekend, these extra sets of rest could make a big difference when playing the rest of the league’s elite teams. 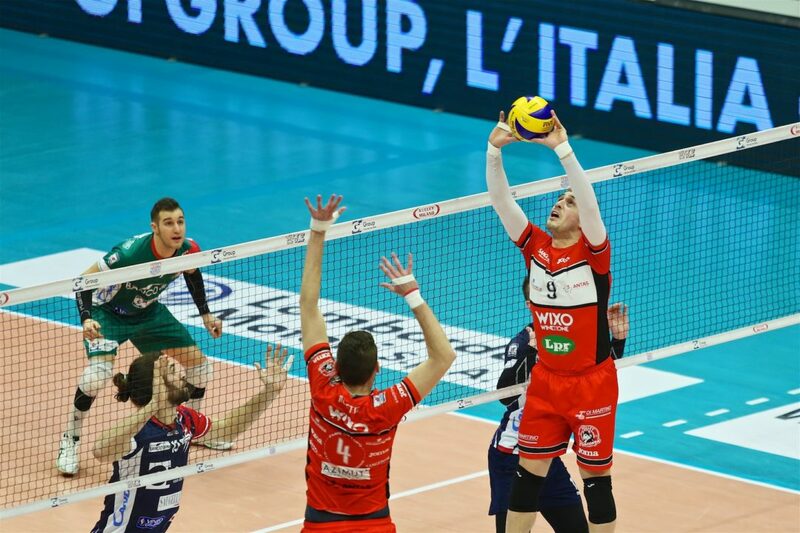 Civitanova and Trentino have long dominated the SuperLega, Perugia has shown that it is not ready to accept the status quo. A scorching hot Milano team looked like it had a good shot at taking out 5th place Verona, especially with league-best attacker and server Nimir Abdel-Aziz ready to join back up with the team. Things did not go according to Andrea Giani’s plan though thanks to sensational play from Verona libero Nicola Pesaresi. Every time that it looked like Milano was ready to go on a run, Pesaresi was in the right spot to keep a play alive and shift the momentum back into Verona’s favour. American Thomas Jaeschke was unstoppable as well, scoring 20 times on 33 attempts from all areas of the court, including multiple lighting fast back row attacks that have become more common as the season goes on. Despite the win, Verona is unlikely to catch Trentino, whose last two games are against Sora and Monza. A great playoff preview this sunday is going to be Perguia going up against Modena on their home court in the Pala Banca. Modena has been coming back into form recently, as their swath of injuries starts to diminish and key players such as Andrea Argenta and Earvin Ngapeth return to the floor. Perugia has barely dropped a set in 2018, can Modena be the first to beat them?